When Amazon launched in Australia two years ago, there was a lot of scepticism in the industry. Could we really expect Amazon to take over an established market in a few months? I'm from a country where Amazon launched a few years before Australia, and I could witness how its strategy was eventually incredibly effective. Amazon is a machine fuelled with diesel. They're slower at the start, but eventually, they run everyone out. Amazon is the tortoise of the eCommerce fable. When Amazon launched in France, I didn't even notice it. Actually, no one did. When I look for a product online, I usually Google it and see which websites pop-up with the best offers. Amazon was never in the first results. Its range of products was small, and its prices not even competitive, and I spent a few years without buying anything on the platform. Until I couldn't ignore it anymore. After a few years, irrespective of the product I was looking for, Amazon was everywhere, and always with the best price. By the time I left my country, I was almost exclusively purchasing products from Amazon, because no one came close in terms of price. The launch of its advertising offers in Australia yesterday is another step towards Amazon being at full power Down Under. That's the Amazon way: baby steps. And no one wants to compete with a grown-up Amazon. Instead, brands should look at selling on Amazon. It may not generate their biggest revenues in the short-term, but it sure is a good long-term investment to eventually attract other Seb's of the world. After all, its best to keep your friends close, but your enemies closer. The long awaited Australian launch of Amazon Advertising has quietly taken place with the company announcing the local rollout on its blog last Friday. Amazon has launched Amazon Advertising in Australia, giving local advertisers and agencies access to its full suite of products. 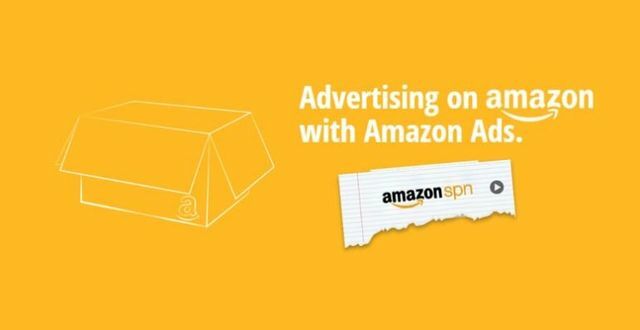 Amazon DSP advertising is live in Australia!